House music started after the disco era and has its roots in the warehouse clubs of Chicago and New York. House dancing is the social / spiritual dance derived from Afro-Caribbean movements to urban Hip Hop inspired expressions. This class will introduce foundation steps to feel the rhythm of House music. Our goal is to help develop each student’s expressive vocabularies and self awareness with the music. Emiko Sugiyama was born in Tokyo, Japan and began dancing classical ballet at the age of 7 and moved to Davis,CA in 1999. She attended to study Physical therapy at University of California, Davis and Sacramento College. Soon She met Michael Cagley and B-boys in Davis, Sacramento, and Bay area and attended various breakin’ events to compete. She became a member of “ Flexible Flave”. 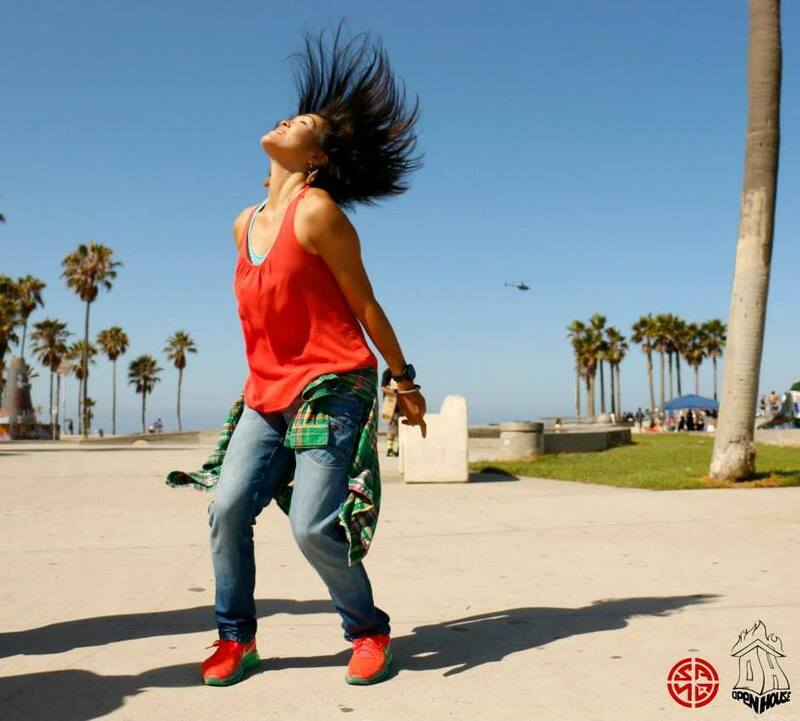 In 2001, Emiko moved to Los Angeles to pursue her dance career, and she joined a hip hop dance company called “One Step Ahead” and performed in several venues. In 2004, She moved to NYC, and she became a member of Illstyle and Peace Production and has been performing with them nationally and internationally such as Russia, Poland, Liberia and Canada. While she lived in NY, she went to clubs every night and learned House dance from legendary house dancers such as Terry Wright, Brian Footwork Green, Buddha Stretch, Marjory Smarth and more. 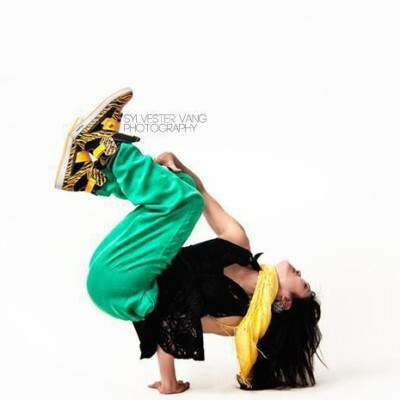 Emiko has been invited to compete breakin’ battles in San Francisco, Paris France, and London UK. She competed House battle at Bboy Ho Down in 2005 and became best 4. In 2008, Emiko produced all elements a Hiphop youth summer camp called Hiphop Island in Philadelphia. Currently, Emiko lives in Los Angeles opened the dance studio called Odoru Dance Studio, and she organizes “ Open House” the weekly house dance session in Downtown Los Angeles and produces J.U.i.C.E Hip Hop Dance Festival, and performs with her crew Syrenz, Illstyle and Peace, and Rennie Harris Puremovement. Emiko appears in Justin Bieber feat. Usher Music Video “ Somebody to Love”. Her credits: Sacramento Kings (NBA and WNBA) half time show, Breakestra Music Video “ Get Your Soul Together,” Warp Tour in Las Vegas, Thalia feat. Fat Joe “I want you” Lipton tour 2003 on ABC Good Morning America. KRS One Warren G & Lil Ai Music video, and NIKE Town in store commercial. Emiko aspires to share not only her skills and abilities but her individuality and personality through dance.